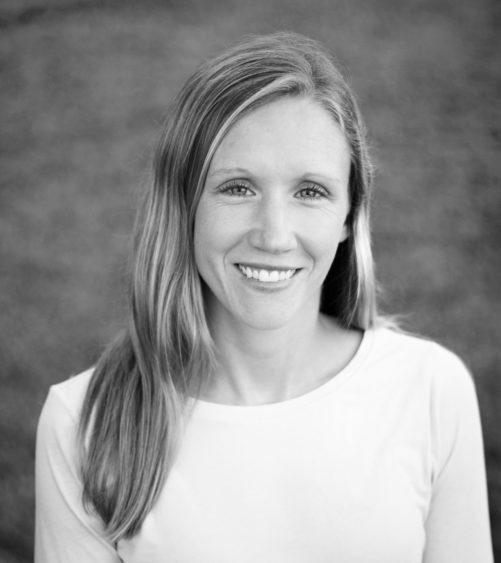 I read Kathryn Hansen’s first book, Brain Over Binge, in June of 2014 and wrote a glowing review of it and began recommending the book to my bulimia recovery coaching clients. Kathryn and I connected and collaborated to create our first podcast you can listen to from this blog post. As you maybe can tell I’m a big fan of Kathryn’s work and the message she has for those with bulimia who want to recover. Her fresh approach to recovery is based upon her own experience and what she recommends to people through her website and blog. I’ve found her journey was similar to my own recovery and I also recommend a similar approach when coaching clients towards their recovery. I’m excited to share our latest podcast (audio recording below) of a conversation we had about her book the Brain Over Binge Recovery Guide. I’ve titled it the Simple Insights Into Bulimia Recovery podcast because it includes the simple steps or ideas we found helpful for our lasting recovery as well as what we suggest to people who have contacted us over the years based upon what’s worked well. I highly recommend finding an hour so you can listen to the podcast and tune into the golden gems of wisdom that were shared during the conversation. Additionally, I’d like to also make notes for you below of the insights I shared on bulimia recovery during our conversation. For most of Kathryn’s contribution, you’ll really want to listen to the audio. I think it’s awesome! 1) Offer you hope – to provide a ray of light and hope to anyone still binging who wants to stop. I think without hope or faith or belief that you can recover, you’ll have a rough road or a dead end. Hope is the first step. You’ve got to talk yourself into a place where you think what you do could work. 2) Share insights and ideas from our experience – we both recovered from bulimia on our own in 2005 and have since gone on to help give ideas and guidance to people we’ve met. We’ve seen what works for lots of people. 3) Create an invitation to make a decision and take some action – just listening to the conversation will not change your life. Making a decision to do something, just one thing, will change the course you’re on. If you listen, I strongly encourage you to take one idea or one step to change something you’re thinking or doing. The ideas and opinions Kathryn and I shared are our own and may not work for everyone and that’s ok. We all have to find what works best for us. The alternative philosophy Kathryn and I agree on is that binging and purging isn’t a disorder or a disease. We don’t think there’s something you were born with that caused you to become bulimic (as is often the case in a hereditary disease). 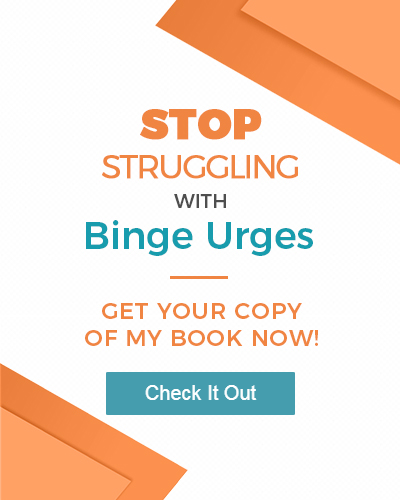 We do realize there are neurological, biological, chemical and physical responses that are tied in with the urges to binge that seem to run rampant and make your life feel not in your control. While our ideas maybe aren’t exactly radical or rogue, they do appear to be an alternative idea into what causes bulimia from traditional therapy textbooks, scholars and what’s being talked about by professionals and even the national associations on the subject. Our hope is that we help shift that conversation and perception for people with bulimia about themselves. You don’t have a disease. …and you don’t have to solve what’s screwed up in your life to stop binging and purging forever. We also hope our message will help traditional counselors and therapists who maybe were taught methods for treating bulimia that aren’t showing great results to consider a different paradigm to work with. In the recording you’ll hear Kathryn do an excellent job of explaining how binge urges are created in the brain and how it seems we’re driven to do them. We binge even when we know it’s yucky and makes us feel worse after. The wiring in our brain was created when we started binging/purging and a habit was formed. A path for the brain to follow that was set into motion and whether we’ve had bulimia for 4 or 40 years, we’ve just been replaying that old tape over and over without knowing how to change the station. I’m here to tell you that you can change the station, you can stop the urges to binge (with time) and you can live a life that doesn’t have binge urges. In fact, there comes a point they never bother you again. If you stop giving them energy and focus, those parts of the brain (wiring) merely die off. You’ll want to read Kathryn’s book to clearly understand her perspective on both goals, but I’ll explain a few additional insights and supportive techniques I added during the call. One housekeeping item before I continue is to say that Kathryn emphasizes in her book and did so on the call that the first goal (dismissing urges) comes first in the book and is important to learn how to do (she explains at length with exercises in the guide). However, the second goal (eating adequately) is really a first step if you’re not eating enough food/calories or are restricting in any way (no sugar/no wheat etc) when you start your recovery process. It is very helpful to make recovery go more successfully to eat adequately first, then work on dismissing urges. She said that she puts dismissing urges first in the book because we can work on them while we’re learning to eat adequately, but we shouldn’t focus on one before the other. In the book and on our call Kathryn does a wonderful job of explaining her 5 Components for Dismissing Binge Urges. I won’t share them all here so you can really learn them from her, but I would like to insert a few additional thoughts on what’s important when you’re working on changing a habit like dismissing urges. Please understand you don’t have to do any of the things I suggest and you can still dismiss the urges. I guess I like to give myself the best boost I can in the right direction and this is what I think helps. Creating habits are very easy for us and our brain is designed to instill habits that save us energy. It’s part of our survival matrix and the brain tries to conserve energy so it looks for things that it thinks we want and will save us or keep us safe. I’m training for my first a triathlon at this time in my life and training and recovery have a lot of parallels I find. When I first decided to do a triathlon I didn’t know what was ahead, but I set out my goal and I prepared myself and my body along the way. I learned a lot, but I had a clear vision and made a decision that I was going to do a triathlon and enjoy it. Preparing for recovery is similar. You’ve got to decide, set your goal, and work towards it even when you fall off your bike or have sore muscles after a long workout. It doesn’t always have to be rough, but there will be new things to learn, you’ll be uncomfortable and it WILL BE WORTH IT. Prepare your mindset so it supports you on this journey. Most people really, really don’t know how this thing called our body works. If you thought of your body like a high performance automobile it might help. The things you put into the system will determine how well it runs. Put junk in the pipes, forget to add oil and have regular tune ups, things are going to get clogged and shut down real quickly. Your body is also an engine, although much more sophisticated. I won’t go into all of the symptoms and what to expect, so find out what other people have experienced and how to mange the systems so you’re prepared. Sort of like having ice packs in the freezer after a hard day of training so you can take care of sore muscles. Be prepared. You don’t have to be afraid of gaining weight. That’s a lie your body is telling you. I didn’t keep any weight I gained and you don’t have to either. Restricting is NOT the answer. The power of visualizations can’t be understated in my opinion. Your mind is a powerful tool and visualizing what you want most actually helps you realize it more quickly. Learn more about visualizing and practice it until you are super clear what your life will look like after you’re no longer binging and purging. I’ll add to this one more thought and that is the power of telling our new story. Creating a new life for yourself is about telling yourself a new story about the life you want to live. It may feel like a lie at first, at least it did for me. But eventually my life became my new story. Having an environment that is supportive and makes you feel good as much as possible can help. Maybe have music you like around, cards that have positive statements, buy yourself flowers, throw away old junk or clean up clutter, have snacks you enjoy around for when hunger starts so you avoid getting hangry (hunger + angry). If you eat a little too much or do binge forgive yourself quickly and move on. The less time you spend on what didn’t work or where you slipped up, the more energy you’re giving to your brain to reinforce that behavior. Instead, we want to reinforce what is going well so the brain learns quickly to have us do that again. Self-forgiveness is a wonderful act of self-love. Extreme self care is about getting enough sleep for your body, staying hydrated, lowering your stress, nurturing and rewarding yourself. What we think of as self care I find really needs to be re-examined. Many of us are running around so busy and depleted it’s hard to be our best self, let alone give it a go to change a really entrenched habit like bulimia. Extreme self care asks us to take a good look at what caring for ourselves could look like and realize it might look a little extreme compared to what others are doing. It’s not my deal if someone can live on 4 hours of sleep, run 10 miles a day, get the kids to school, work a full day, make dinner, make love to her husband, work on her new book, and practice her favorite hobby before she tucks herself into bed. I’m not that person. I have learned what I need to feel and be my best and so I do it. I do it for me and the people around me. When I’m my best, I can be my best qualities and my life works better. This step is specifically for bulimics who are restricting or haven’t come into balance with normal eating habits. This is actually the first step as I mentioned if you’re not eating healthfully and in balance. Please have a listen to the podcast for greater details and insights into each one. What I tell my clients is…EXPERIMENT! You don’t know what works for you and neither does anyone else! You haven’t learned it yet, so you’ll need to be open to trying a few things until you feel good about your eating. My recipe: Try and learn. Fail and learn. Keep evolving. If you don’t know what normal looks like, start learning. Find people who have success or what you want and see if you resonate with the message and try it out. Maybe try a program for 2 – 4 weeks and see how it makes you feel. You’ll need to put in time to get this dialed in. Make it a goal to try and experiment until you have balance and feel good consistently. You may find that while you’re experimenting you can also experiment with goal #1 dismissing the urges to binge. One item to note is working with a nutritionist. I’ve had some success with nutritionists when I get a good referral. Not every one I’ve worked with has had the best solution for me or have they been aligned with my values. If you can get a good referral, give it a try. You don’t have to work with one, but some find it helps. There are also forums and support networks around nutrition online. Just be sure you don’t get into any focused on diets. Diets are not the answer. You just need good sound information about how many calories you need, how much protein, fat and carbs to take in and if there are any things to avoid for your body type. Sometimes people contact me who have been bulimic for 20, 30 or even 40+ years. I can hear in their voice they’re either resigned that nothing can work or they’re open and willing to see. Even if you’ve tried recovery for years and years and nothing’s worked, there is still a way you can stop this behavior. Bulimia is about habits you created and habits you can change. The power lies within. I hope you will find inspiration to try again…just once more. That could do it! What is one decision you can make a decision and take action on this week based upon something you heard? Please share in the comments below or email me. I’d love to hear from you. If you’re interested in bulimia recovery coaching check out my programs and contact me for a complimentary 30 minute session. Please remember to order Kathryn’s book Brain Over Binge Recovery Guide online.